In September 2018 we expanded our GP Aware campaign to the North West and the South West of the UK. 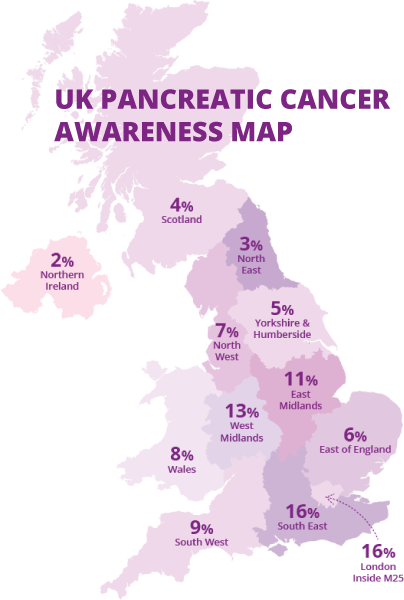 This development comes after research showed a higher number of pancreatic cancer instances, together with survey results, highlighting low awareness of the disease in these areas. One of our key activities is the provision of resources for medical professionals; to update them on the latest developments such as diagnostic and treatment guidelines, epidemiological data and other risk factors that can help them diagnose pancreatic cancer earlier. PCA is a global pioneer in this field. 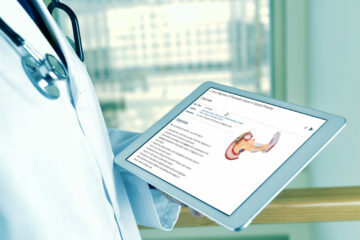 We are the very first in the world to have developed an e-learning module for pancreatic cancer in 2012 for GPs and hospital doctors, and last year we piloted the first ever targeted awareness programme for GPs: GP Aware. Whilst we do fund research specifically into finding ways to improve early diagnosis, what we might learn from those, and other studies that look promising, could take 10 to 15 years to reach the clinical environment and even longer to benefit patients. So, we have to do something now using today’s knowledge and technologies.